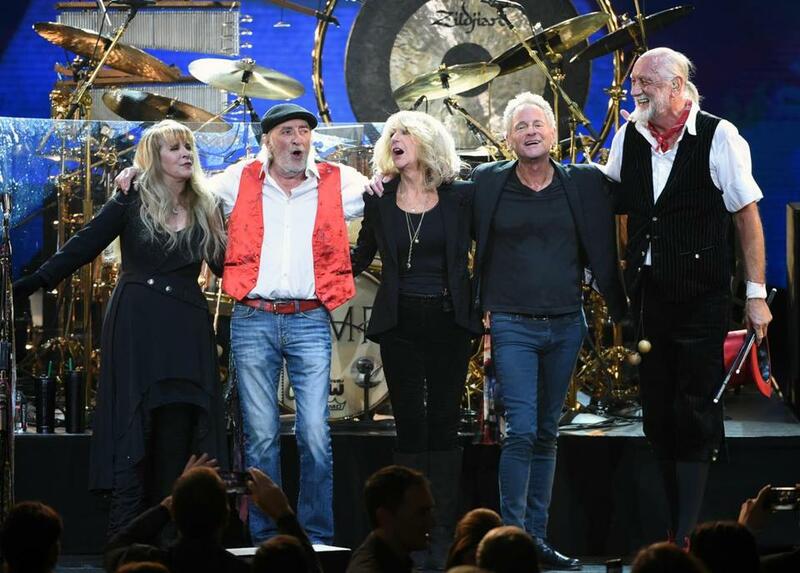 Guitarist Lindsey Buckingham (second from right) is parting ways with Fleetwood Mac. LOS ANGELES — Lindsey Buckingham will have to go his own way. The singer-guitarist is out of Fleetwood Mac. The band said in a statement Monday that Buckingham will not be on their new tour. The announcement came in two terse sentences at the bottom of a long news release announcing the new concerts. He’ll be jointly replaced by Neil Finn of Crowded House and Mike Campbell of Tom Petty’s Heartbreakers. Buckingham joined the band with then-girlfriend Stevie Nicks in 1974 and the two became the central faces, voices and songwriters of the group for the four decades that followed. Buckingham left the band once before in 1987, returning for a tour in 1996 and remaining a steady member since. No details were given on what led to the latest split. Buckingham’s agent referred requests for comment back to a publicist for Fleetwood Mac, who said it wasn’t yet clear how to reach Buckingham for a reaction. The 68-year-old released an album and played a series of dates with the band’s Christine McVie last year. Fleetwood Mac used most of the news release announcing the departure to tout its two new members. Finn said the group contacted him only very recently, and he was stunned to suddenly find himself a member. The two voices Finn refers to are those of Nicks and McVie, who will be on the tour along with fellow longtime members Fleetwood and John McVie.